First of all a couple images, ok? 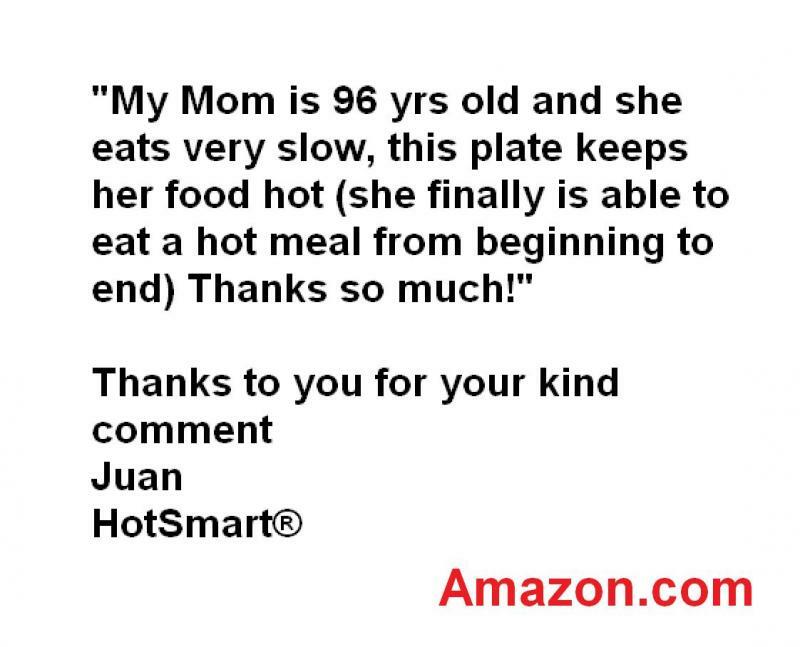 (Above), we are struggling to let people know that the sick and the elderly don't have to eat cold food now. 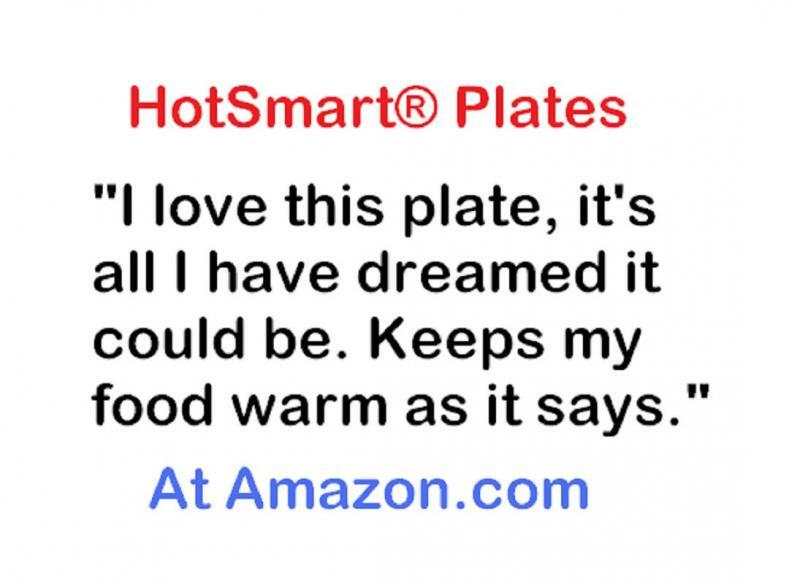 Another 97 year old mom said: "Best present ever"
You will find below some useful links that contain information related to keeping food hot at the table, eating slowly etc. 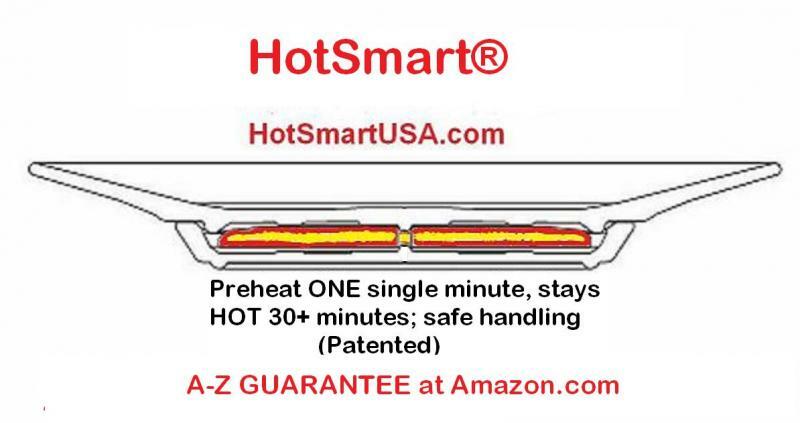 "Plates that keep food hot"
"Prevent overeating by eating slowly"
By the way, it is still available for license; it is a line of products and it will be in every single home (over 100 million homes in the USA alone) just like toasters and blenders. 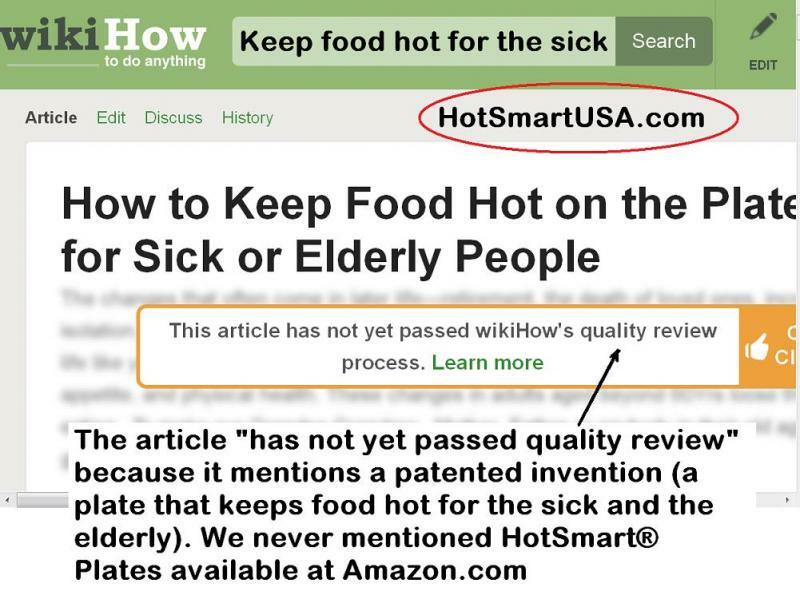 This is a good case for the "sharks" Large companies have the NIH (Not Invented Here) syndrome.